An excellent accompaniment to all things mexican. Try with refried beans or tacos. 1. Puree tomato and garlic in blender. 2. Put all ingredients into large pot. 3. Bring to a strong simmer. 4. Simmer for about 3-1/2 hours to thicken to desired consistency, stirring occasionally to avoid burning. 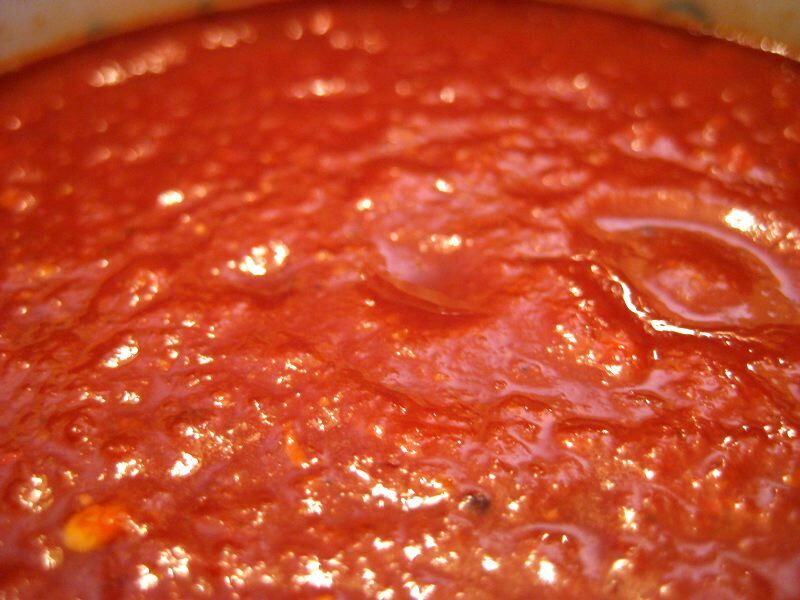 This chili sauce preserves well with canning. Make a lot and enjoy year round. Quick question: The chili sauce recipe sounds delicious, but I thought that canned tomatoes were illegal? OOPS! You’re absolutely correct. Canned tomatoes are illegal. The recipe should have specified home-canned tomatoes. Thanks for pointing this out to me. I’ve corrected the recipe. Made your chili powder now I’m working on the salsa while the black beans are cooking. All set up with the napa cabbage and I’m in heaven!! I’ve been surfing the net for mex food for and hour, then I remembered your blog. You’re welcome! Don’t forget to see my recipes page for a couple more mexican recipes.